Today, more than ever people are understanding the importance of chiropractic therapy in helping them with many of their major ailments and its painful symptoms. And, to that end, Dr. Aaron Richardet has been faithfully serving his clients since 2000, and helping them find relief from the pain associated with spinal cord, arthritis, and other neuromuscular problems. 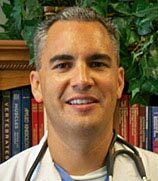 Dr. Aaron Richardet earned his Doctorate of Chiropractic from Logan Chiropractic College in 2000. He has gained the trust and loyalty of his patients not just because of his expertise in the field, but also because of his personalized approach in treating each of his patients. As a licensed chiropractor since 2000, with licensure in North Carolina, Missouri, and Illinois, he has treated scores of patients with his medical expertise and has crafted the ideal treatment plan based on their individual needs. His area of expertise includes spinal decompression, neurofeedback, peripheral neuropathy, fibromyalgia, and pain management therapy among others. The field that Dr. Aaron Richardet has specialized in and so generously serves his patients in, is a crucial branch of medicine that provides patients with a safe and non-invasive method of treatment for many common and major ailments that they face. The routine chiropractic adjustments that Dr. Aaron Richardet performs go beyond preventative care and are vital for keeping the body healthy, balanced, and flexible. Dr. Aaron Richardet possesses broad skills and is highly trained and experienced in recommending the best therapeutic and rehabilitation practices to patients in his care. His main goal, through his treatments, is to restore the body’s function and prevent injuries for the patients. The chiropractic care that you receive at the hands of Dr. Aaron Richardet is a natural, drug-free, and safe method that promotes wellness which encompasses your entire body. Dr. Aaron Richardet believes in a personalized treatment approach when treating his patients, which ensures they receive the most effective treatment and find relief from their symptoms. He combines the best medical practice, hands-on technique, and state-of-the-art physiotherapy procedures to ensure he leaves no stone unturned in providing his patients the best possible care available. Inserting routine chiropractic adjustments into your schedule will help counteract the reaction your body has to stress and its affiliates by reversing the many stress-related symptoms. Dr. Aaron Richardet is committed to his patients’ overall health and wellness, which he accomplishes with spinal adjustments and other advanced techniques designed to balance their spinal column for optimal nervous system function. His patients report less pain, more energy and stamina, and better health after undergoing the chiropractic sessions with him. Patients always feel comfortable discussing any issues they might have with him, and he is ever ready to help them with his medical expertise and knowledge gained with experience. He reviews their health history and gains an insight into their diet, exercise routine, and daily activities, to get to the root of the issue and come up with the best chiropractic care to elicit the most effective response. Stress, injuries, and other physical ailments are inevitably going to find you. So, having a highly skilled chiropractor like Dr. Aaron Richardet in your corner is a surefire way to stay healthy and proactively stay ahead of life’s curveballs.